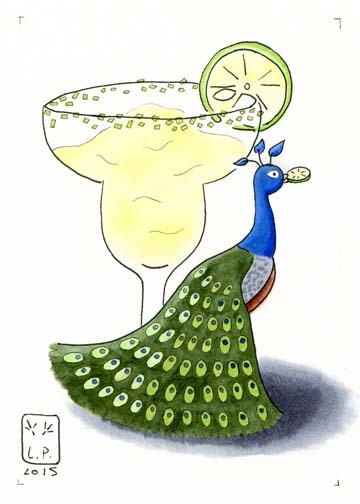 Margarita’s are a fancy drink and fancy animals need fancy drinks. Made with copic markers, liners, and paint. When dealing with a pattern you need to remember how the color changes with the curves, shadows, depth, etc… Remembering where your lightsource is can be tricky. Make a small mark somewhere to remind yourself.